Since the Aces took a power forward last year, it made sense that they would draft a guard in 2019. But in a draft without Oregon’s Sabrina Ionescu—who’s returning for her senior year—experts were split on whether or not they’d pick Young or Louisville’s Asia Durr—who ended up going to the Liberty second overall. In Young, the Aces get a wing player who’s less of a pure scorer than Durr. But Young’s also a couple inches taller and put up better numbers in college as a rebounder and passer. 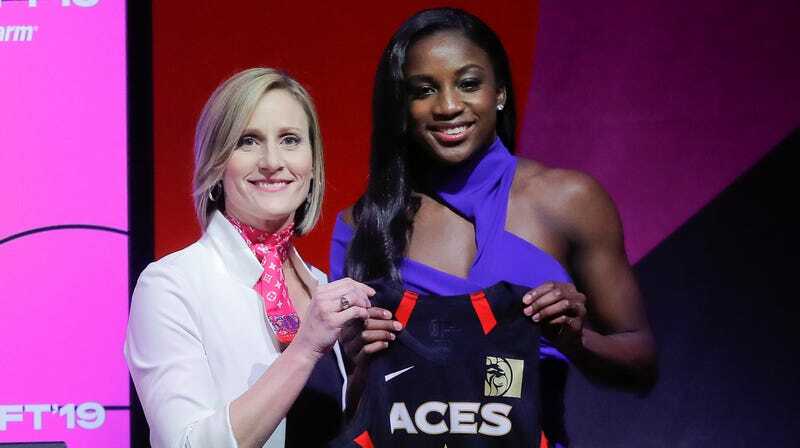 Young makes most sense at small forward, since the Aces have an All-Star at shooting guard in Kayla McBride. But assuming she does make the starting lineup, Vegas will form a first five that includes the past three number-one overall picks, including Young, Wilson, and point guard Kelsey Plum. Trust the process.